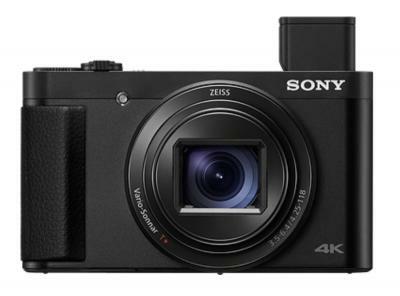 Sony's DSC-HX99 is the world's smallest travel zoom compact camera, that features a 28x (24-720mm) optical zoom, a 18MP sensor, and 4K video support. The HX99 has a pop-up EVD that uses Sony's 0.23" 640x400 OLED microdisplay. The DSC-HX99 is now shipping for $450 (Amazon.com, affiliated link).